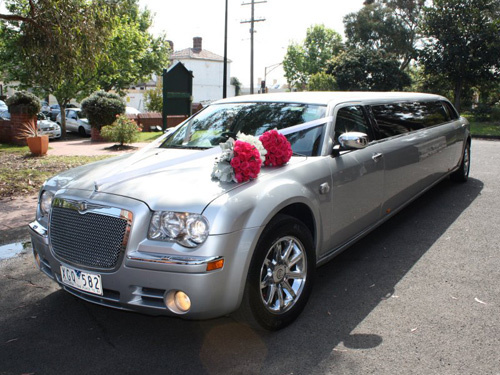 My Limo Melbourne is a family owned Limousine hire company based in Frankston. Limo Hire Frankston with over 10 years of experience in the Hire Car industry can guarantee a great service in Luxury and style with our customer’s needs our number one priority. From Weddings, Wine Tours, Debs and Formals, Birthdays and Anniversaries to Airport transfers, no matter what the occasion there is little more indulgent than our 12 Seater Silver 300C “Centre Jet Door” Chrysler Stretch Limousine. To enquire or book our limousine today call 1300 669 844 or complete the Contact Us form for a prompt and reliable quote. Contact us now for a prompt and reliable quote to secure a booking in our 12 Seater Silver “Jet Door” 300C Chrysler Superstretch Limousine for that “Limousine experience”. Fill in the form below to enquire about or book our services. Copyright 2017 My Limo Melbourne. Website by Creative Chaos..